Self Cure Remedy details of Take garlic for the care and relief of Stroke, including effectiveness and popularity scores of the remedy. Garlic may prevent blood clots and destroy plaque. Blood clots and plaque block blood flow and contribute to the development of heart attack and stroke. Garlic may also be beneficial for reducing risk factors for heart disease and stroke like high blood pressure, high cholesterol, and diabetes. Include garlic in your diet. 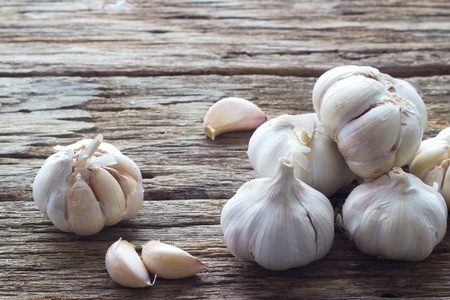 Garlic can lower blood pressure and increase the risk of bleeding. Use caution if you have bleeding or blood pressure related conditions. Garlic can irritate the gastrointestinal (GI) tract. Use with caution if you have stomach or digestion problems. Stop taking garlic at least two weeks before a scheduled surgery. The self cure remedy of Take garlic for the care and relief of Stroke has an effectiveness score of 3.1 and a popularity score of 10 on the self-cure system.